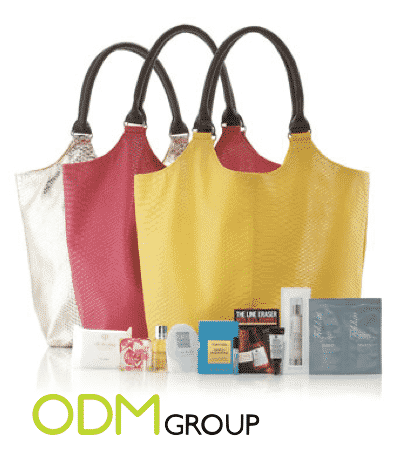 Neiman Marcus is giving away a free tote bag as a gift with purchase. Simply spend $100 on cosmetics or fragrance at Neiman Marcus departmental store and walk away with this colorful tote bag free of charge. This free tote bag is only limited to one per customer, so hurry down to your nearest Neiman Marcus store and get it while stocks last! Neiman Marcus is an American owned luxury departmental store. It carries a wide variety of luxury brands all over the world. It was founded in 1907 and its long history is proof of its business concept and ever changing market strategies. Why offer a free tote bag as a gift with purchase? Tote bags are great because of their high utility value. They can be used for many purposes; going to the beach, office, school or even dinner etc. This free tote bag is large and spacious, allowing users to carry lots of items in the bag. Offering a free tote bag as a gift with purchase ensures that you have plenty of space to brand your logo or message. The whole surface area of the bag is really big, making whatever you are branding highly visible to onlookers. This increases the marketing awareness of your brand, etching your brand name in the minds of the customers. All this just by offering a free tote bag, this promotion is definitely worth it! It will be even better if you can offer the free tote bag that is made up of recyclable materials. This will improve the image of your company because you will be seen as one that cares for the environment. Right now, the demand for “green” products has really increased due to more public awareness and interest. So by adhering to these trends, the general public will trust your brand more and that will translate to more enquiries and purchases. So what are you waiting for? Contact ODM to design your very own promotional gift and kick start your marketing campaign today!